Fort Lauderdale is the center of great shopping in south Florida. To the west, Sawgrass Mills offers one of the largest outlet-store selections in the country. Downtown, you’ll find everything you need for a great night out – shopping, dining and entertainment – on Las Olas Boulevard. East of downtown, the Galleria leads a parade of malls located within shouting distance of the beach. With great shopping of their own, Miami and West Palm Beach are within a half-hour’s drive of Fort Lauderdale. In Miami, the focus is on upscale fashions, jewelry and watches. Open-air malls abound, along with classic brands and pricey labels. Glamorous restaurants are around each corner. Shopping in Miami is more than just making purchases, it’s a spectator sport! West Palm Beach also is famous for its upscale shopping district on “the island.” Peek in the classic stores while you stroll 100-year-old Worth Avenue on Palm Beach Island. It’s one of the top shopping districts in the nation. 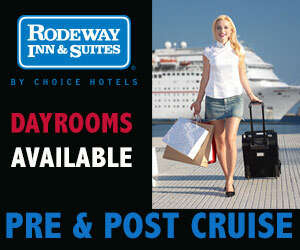 Back on the mainland, browse the shops on Antiques Row or catch dinner and a show at City Place. You’ll be glad you did. 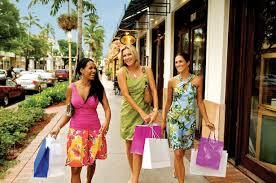 From outlet stores to fashion favorites, Fort Lauderdale has shopping for you. Tip: Dress down for Sawgrass Mills, but dress up for Las Olas Boulevard. Sawgrass Mills. With nearly 350 stores, almost 40 restaurants and 24 movie-theater screens, Sawgrass Mills is a small city unto itself. The mall features 40 outlet stores not found anywhere else in south Florida, as well as anchor stores Super Target, Bloomingdale’s and Brandsmart USA. Laid out in the shape of an alligator. Las Olas Boulevard. Bordered by A1A to the east and Andrews Avenue to the west, Las Olas harbors more than 60 shops, nearly 30 restaurants and almost a dozen major art galleries. Vibrant and unique, Las Olas offers shopping, dining and entertainment in a midsized downtown atmosphere. Also features the historic Stranahan House, Museum of Art, and Museum of Discovery and Science. Gallery at Beach Place. With a half-dozen shops and a half-dozen restaurants, this venue on Fort Lauderdale Beach is more about having fun than shopping. Featuring LuLus Bait Shack, Hooters and Fat Tuesday, it’s a great place to cool off after time in the sun. Shopping choices include Maui Nix, Silver Edge and E. A. Factory. Also includes a CVS. Galleria at Fort Lauderdale. Anchored by Niemen Marcus, Macy’s and Dillard’s, this open-air mall features more than 100 shopping destinations and a half-dozen places to eat. Shopping runs the gamut from Swarovski to Gap Kids to Flip Flop Shop. Dining is mostly upscale, including P.F. Chang’s, The Capitol Grill and Blue Martini. Harbor Shops. Located right next to Port Everglades, this upscale strip mall is anchored by Publix and Total Wine. Features nearly a dozen nice restaurants, including CoCo Asian Bistro, Gilberts 17th Street Grill and Five Guys Burgers & Fries. Includes gift stores, cell-phone outlets and beauty shops. Swap Shop. For a taste of old south Florida, stop by the Swap Shop. This tourist trap in Sunrise features more than 100 indoor vendors, an outdoor flea market, a farmer’s market and a car museum. At night, the venue hosts drive-in movies playing on 14 screens. Miami is famous for its access to luxury-goods retailers. Aventura Mall and the Shops at Bal Harbour are internationally famous for their selection of retailers. You can find bargains, but be prepared to do a lot of price-tag watching. Aventura Mall. This upscale mall combines big-box retail (Noordstrom, Bloomingdales, Macy’s, JC Penney) with small-box luxury (Dior, Cartier, Louis Vuitton, Tiffany & Company). With more than 300 stores on hand, this three-level indoor mall is the third-largest shopping mall in the country. More than 20 choices in the food court, as well as 24 movie theaters. Bal Harbour Shops. Any time you see Harbour spelled with a u, you know it’s fancy. Featuring more than 100 of the world’s most luxurious brands, this iconic open-air mall has been a shopping mecca for nearly 50 years. Anchored by Niemen Marcus and Saks Fifth Avenue. Bayside Marketplace. With more than 70 shops and nearly 30 places to eat, this open-air mall sits alongside the Atlantic Ocean in downtown Miami. 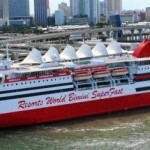 It’s between Bayfront Park and American Airlines Arena. A great place to spend an afternoon or evening, the mall features a two-story garage with more than 1,000 parking spaces. Lincoln Road Mall. As much an experience as it is a mall, this outdoor shopping & dining district in South Beach is open to pedestrians only. Nearly 100 shops, mostly clothing and accessories, and almost 50 restaurants, from sit-down to take-out, are available for your enjoyment. CoCo Walk. Nestled next to Biscayne Bay in luxurious Coconut Grove, this open-air mall features more than a dozen shops and at least seven places to eat. The mall features live entertainment for free Thursday through Sunday. Anchored by Gap and Victoria’s Secret. North of Fort Lauderdale, West Palm Beach was voted the fourth best shopping city in the country by Conde Nast Traveler. The island of Palm Beach is known for its upscale shopping on Worth Avenue. City Place combines residential living with dining, entertainment and shopping. City Place. Located in the center of downtown West Palm Beach, this combined residential/shopping district is anchored by Macy’s and Publix. Featuring nearly 50 shops, an IMAX movie screen, and the Harriet Himmel Theater, City Place is more than just an upscale mall. Worth Avenue. With more than 100 shops, restaurants and galleries, you’ll find all the big-name upscale brands on Worth Avenue. Gucci, Tiffany, Cartier, Ferragamo – the most famous one-name luxury retailers each have a spot on the Avenue. Even if you don’t purchase anything, it’s a great spot for people watching. Antiques Row. More than 40 antiques shops are open for business in this Dixie Highway neighborhood west of the Intracoastal Waterway. The recently revitalized area, which has been around for 30 years, also features a handful of galleries, specialty shops and restaurants. Northwood Village. Featuring more than small 50 galleries and shops, this shopping area is located in a micro-neighborhood a couple miles from downtown. Join the neighborhood art walk, each second Saturday at 6 p.m. The district also sports a couple dozen restaurants and fresh markets.